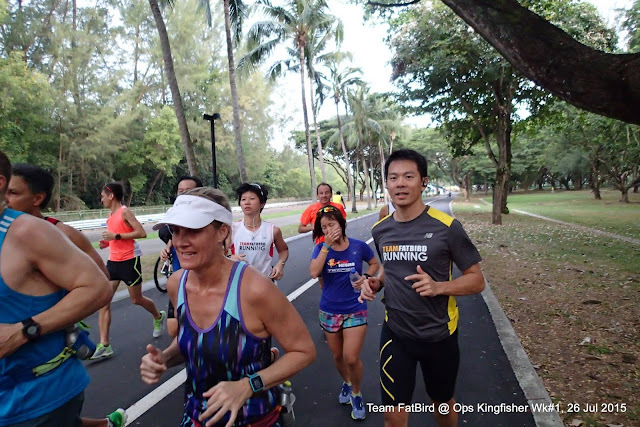 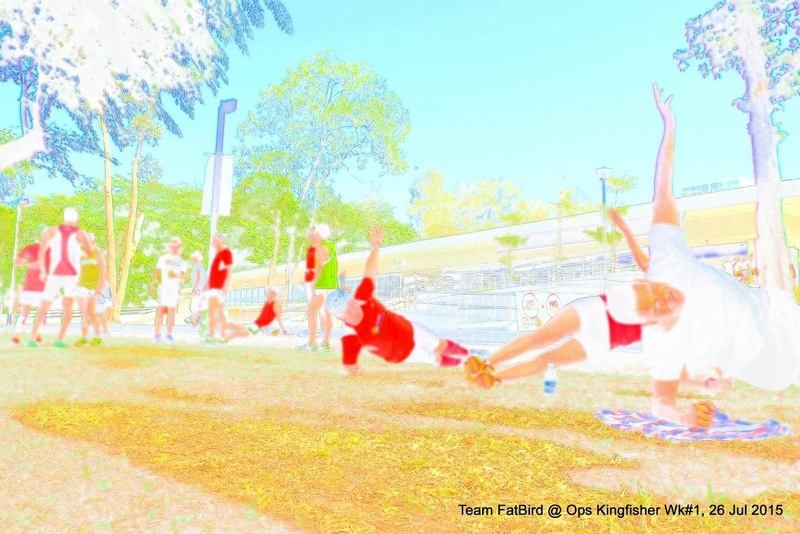 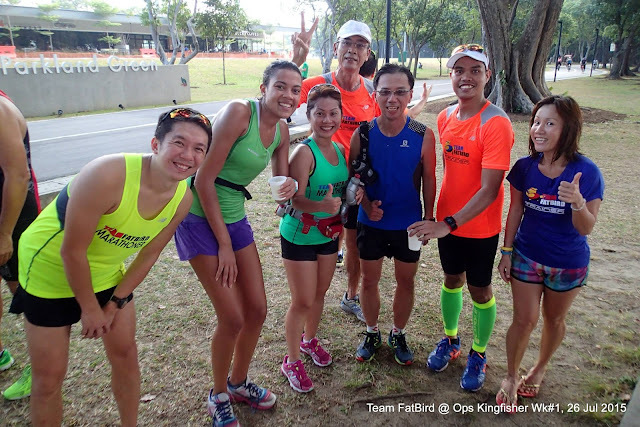 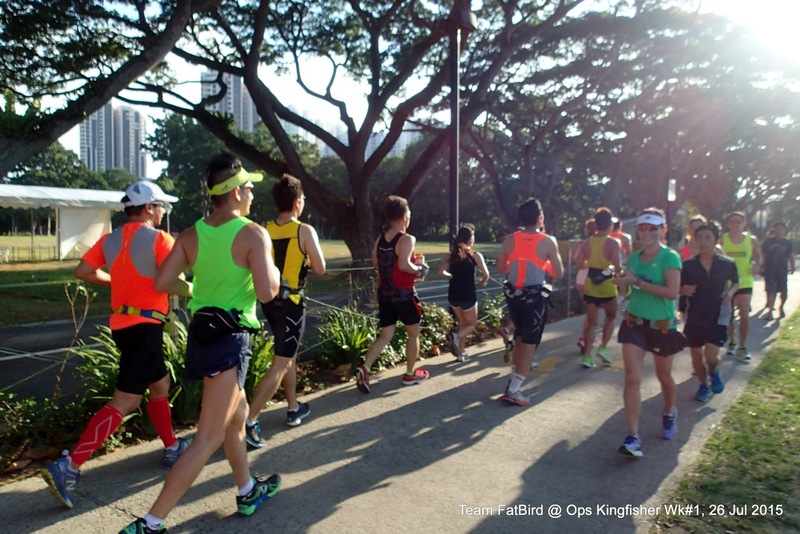 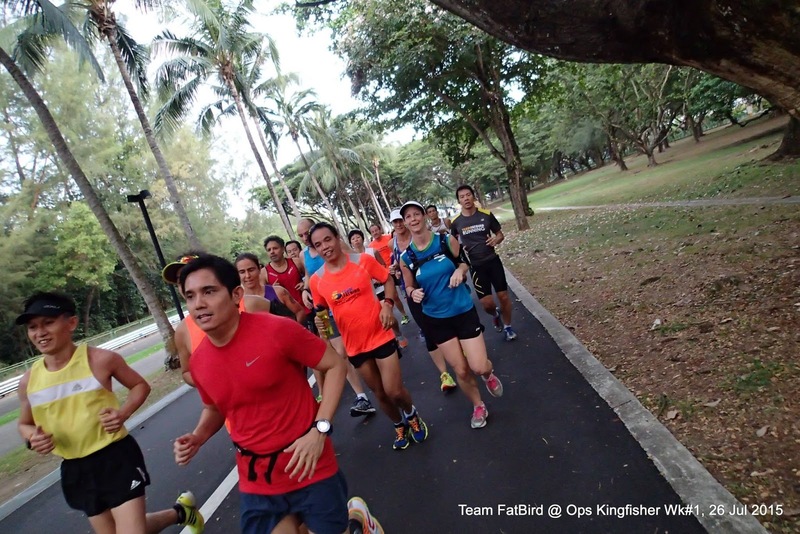 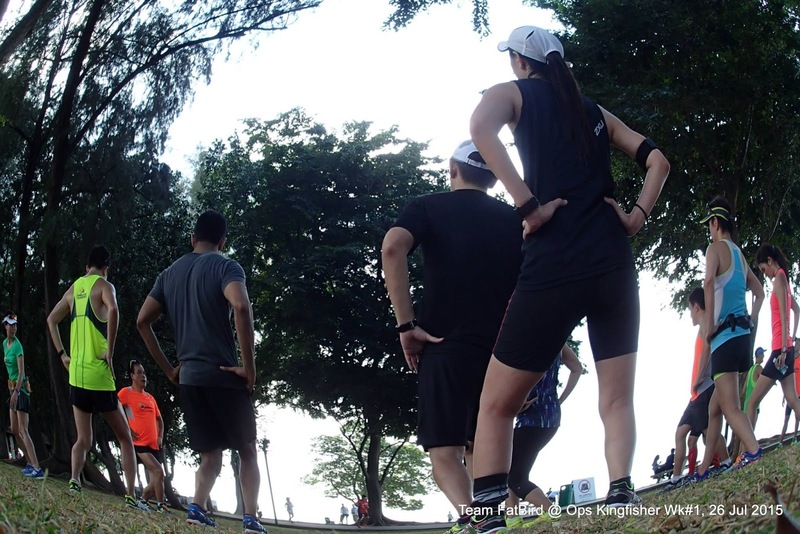 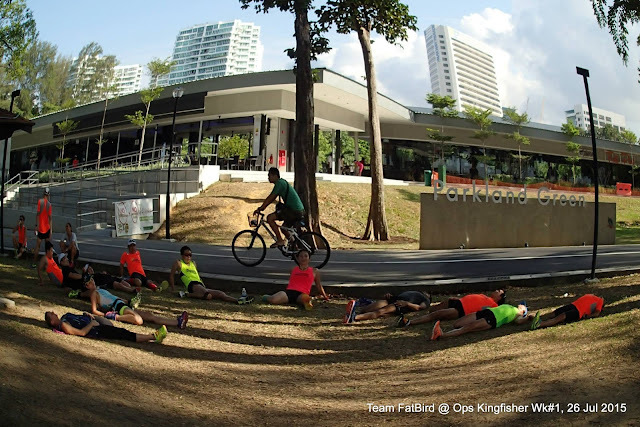 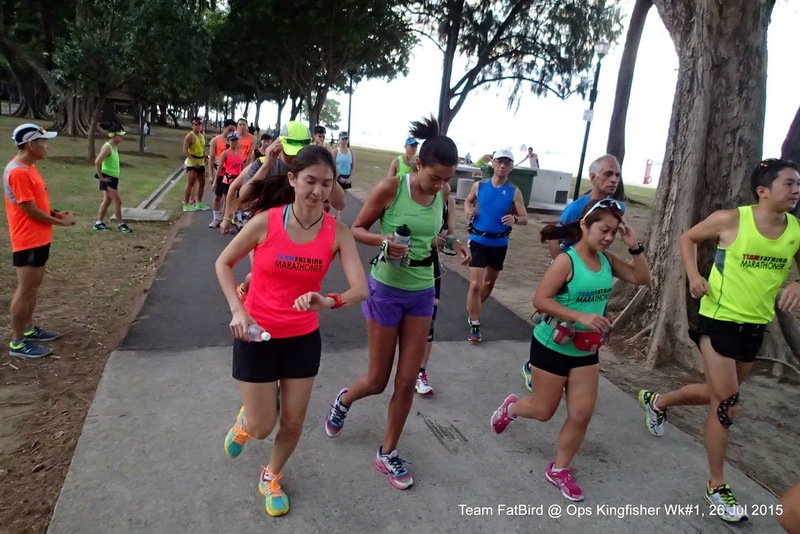 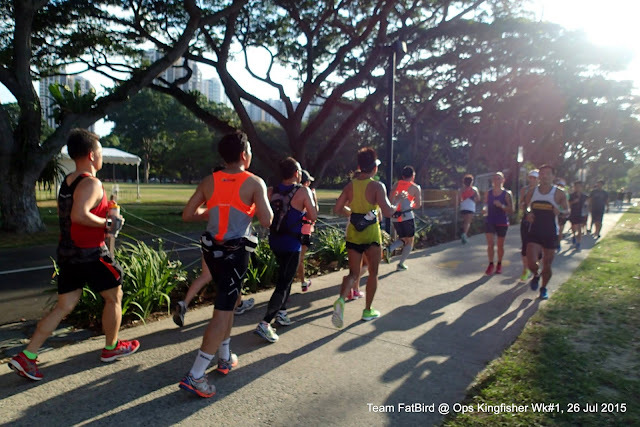 Operation Kingfisher, 8-week structured marathon training program for participants of Straits Times Run, Sydney, OSAKA and KL Marathons, got off to a smooth start in nice weather. 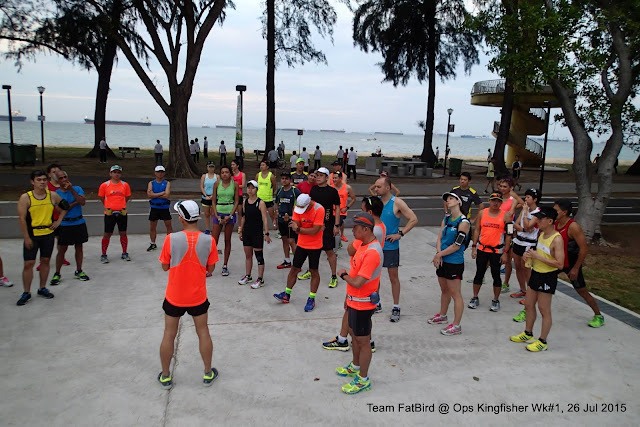 The group of Kingfisher trainees, many of whom are returning participants of past FatBird training programs who have done very well in recent races, were given a warm welcome and training briefing before launching into our first basebuild long run from Parkland Green, ECP. The cool and windy weather made for very comfortable running, at least for the first 5-8km. The respective pace groups settled into their zones quickly and were soon interacting and chatting amongst themselves. 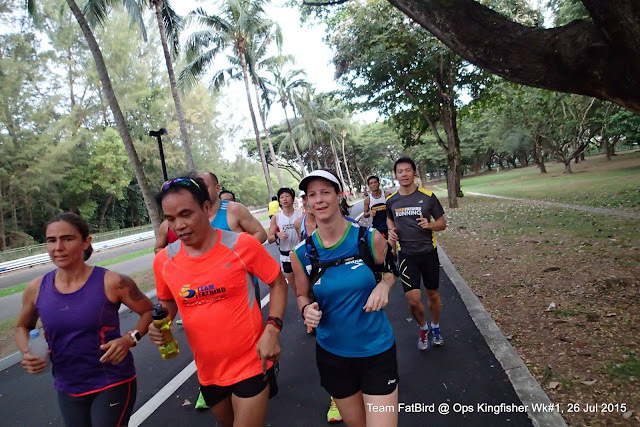 At the Fort Road U-Turn, the groups of Kingfishers clapped and encouraged one another as they passed, with high energy and spirits. 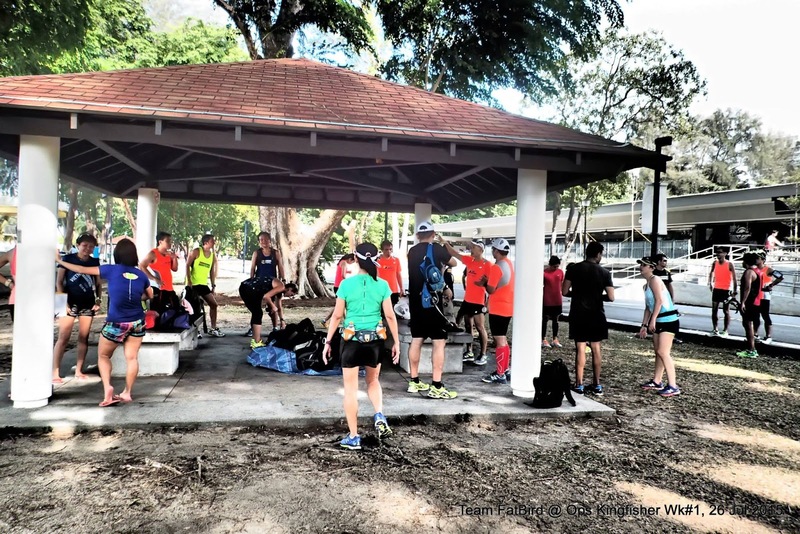 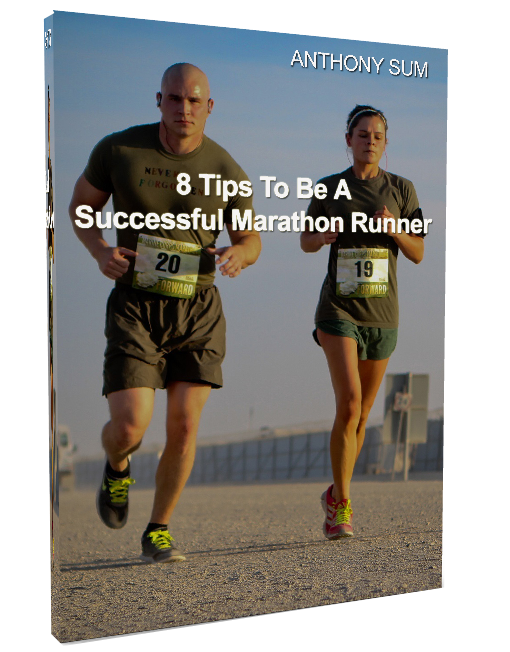 The Basebuild Pace for the initial weeks will ensure all have a good chance to progressively and safely build up strength and speed for advancement into the Marathon and Optimal pace training in later weeks of the program. There was a noticeable group composition this time around with many more trainees in Groups 1 and 2, and less Kingfishers in Groups 3 and 4 – an indication that many are setting their sights for better performances and timings, which bode well for the progress of the FatBird marathoners. 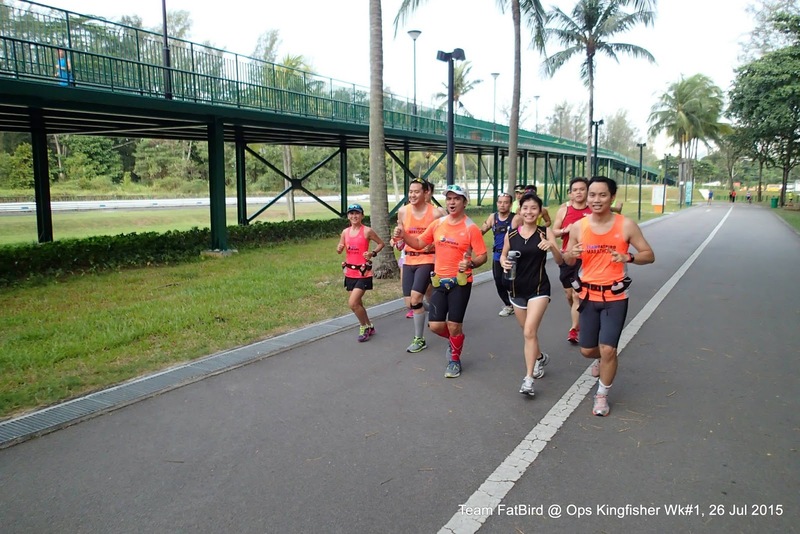 The HM Kingfishers turned back earlier for a 12km distance, while the FM moved on at steady paces towards Sailing Centre and then NSRCC, before turning back to Parkland Green for 21km. 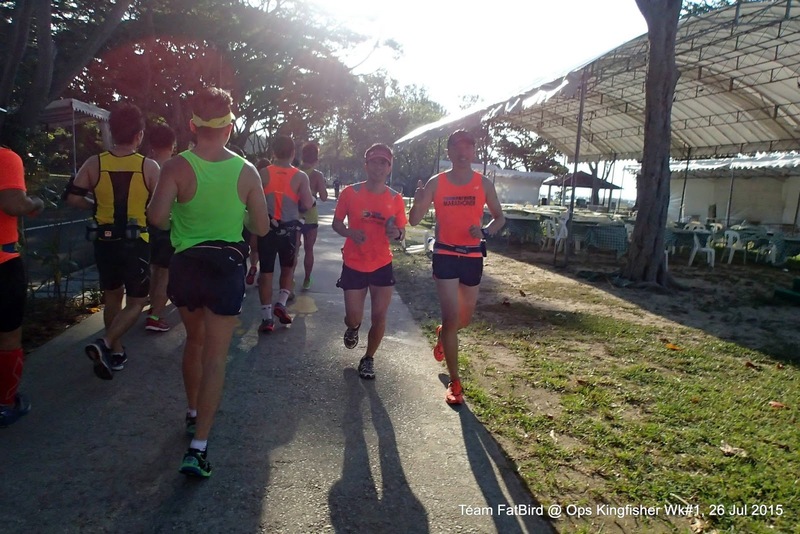 The majority of trainees made it by the cutoff timing (a maximum allowable training time for each session to prevent over-training and injury resulting from excessive stresses), avoiding most of the sun’s heat. It was a smooth kickoff session for all, thanks in part to the good weather as well as the dependable and experienced FatBird trainers and pacers which guided and provided encouragement to all Kingfisher trainees. 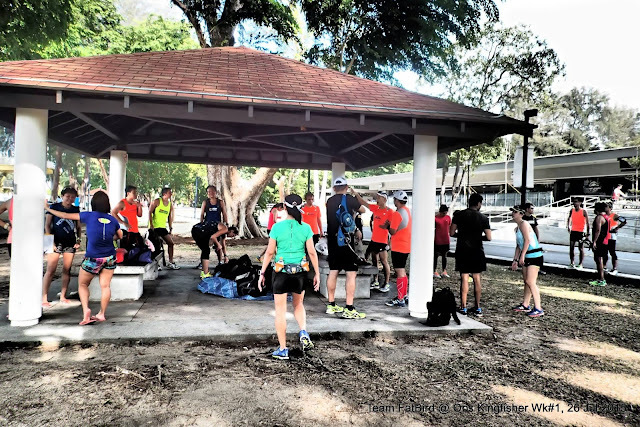 We advance into week 2 with another basebuild run, albeit with distances increased progressively, before upping the ante to marathon pace from weeks 3-5 with incremental distance coverage. 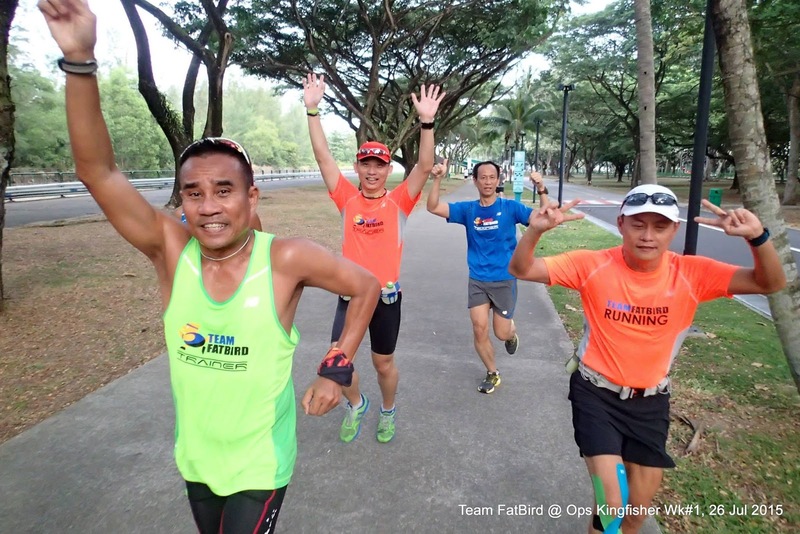 For those who are interested to join the program, we still have limited training slots available for 10km, Half Marathon and Full Marathon – Details & Registration for training can be found HERE!